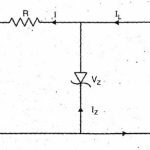 Home / Electrical Articles / What is ohm’s law ? This law is devised by dr.ohm in 1827 it is fundamental law in electricity. It relates to the potential difference (V), current (I), resistance(R), of the dc circuit. 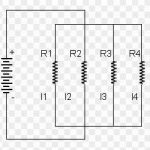 it is applicable to the part of the circuit or the circuit as a whole. The Ohm’s law states the potential difference voltage(V) applied across the circuit or branch is proportional to the current flowing through it if the physical conditions such as temperature are kept constant. Where R is the constant of proportionality. R is known as the resistance of the branch or circuit. V is the applied voltage and I is the current flowing through the branch of resistances R.
Thus V is forcing quantity which forces the current to flow through opposing resistances R.
So I am the flowing quantity and R is the opposing quantity. It is the fundamental law in electricity. it is used for the calculations of R, V and I for the part of the circuit or entire circuit by using the forms. Where V is in volts, I am in amperes and R is in ohms. For simplifications of complicated active circuits. It is the basis for Kirchhoff’s laws. For applying Ohm’s law. the physical conditions such as temperature, dimensions and the connections of the wire or branch or circuit must remain constant. It is applicable only for liner and bilateral elements or circuits. It is not applicable for the non-linear and unilateral elements and circuits such as diodes, zener diode , rectifiers, voltages regulators etc. It is unsuitable for non-metallic conductors such silicon carbide. The complicated network cannot be solved quickly by this law.